Warning: Critical plot details will be divulged in this post. The ending will be spoiled. In the third act of Brokeback Mountain, director Ang Lee stages one brilliantly poised scene after another. The first of which is the last encounter between fated lovers, Ennis and Jack. Once Ennis tells Jack he won’t be able to see him again for months, Jack bursts into a jealous, tormented rage. 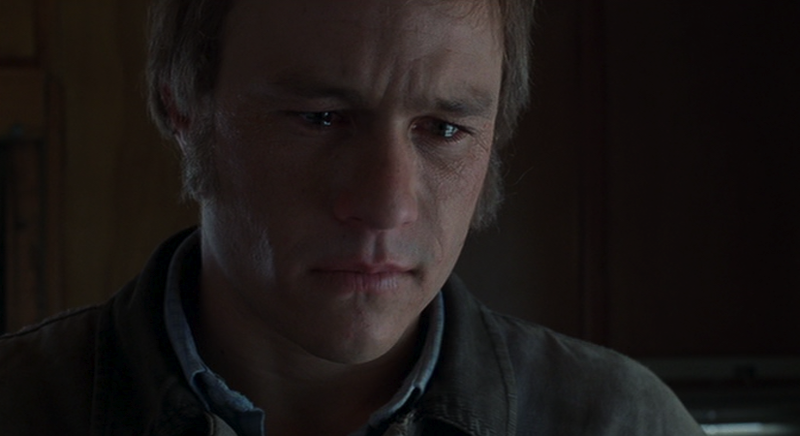 The most popular scene in the film (it dawned the now parodied line “I wish I knew how to quit you”), demonstrates the emotional arch that actors Heath Ledger and Jake Gyllenhaal feed their characters. After a bitter screaming match, Ledger’s rough-neck Ennis finally breaks down, falling to his knees in agony, blaming his lover for his troubled life. As the two men hesitantly embrace, the film reaches an emotional climax. That is all but forgotten moments later, when Ennis goes to Jack’s childhood home, talking with Jack's parents about his sudden death. Ennis is invited to Jack’s room, where he finds a pair of shirts, hidden in Jack’s closet. The shirts, resting one over the other on a coat hanger, were worn by the men when they first met on the mountain. Hidden in Jack’s closet for decades, Ennis tenderly holds the shirts to his chest, taking in the reminiscent fumes of his dear friend. 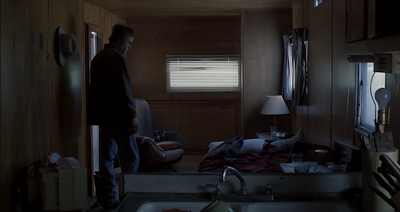 But it’s in the film’s final scene, when Ennis is visited by his daughter in his lonely trailer, that remains the most memorable. His grown daughter announces her plan to marry her boyfriend and then leaves her father in his solitude. Having forgotten her jacket, Ennis caringly folds it up and places it in his closet. 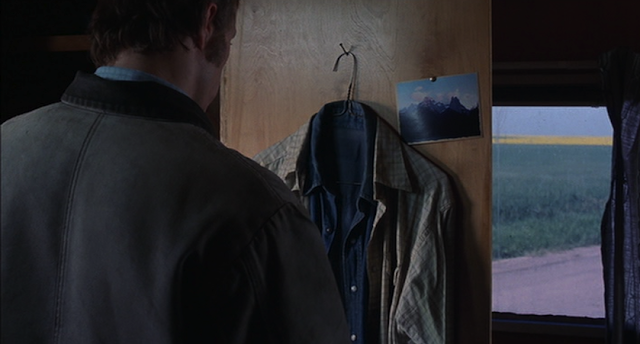 Hanging on the closet door are the shirts he found in Jack’s room, along with a sole postcard-picture of Brokeback Mountain. Ledger’s eyes fill with tears and he manages to let out a few solemn words, “Jack, I swear.” Gustavo Santaolalla’s pivotal, Oscar-winning, musical score booms on the soundtrack as we fade to black. In his recent Screen Actors Guild acceptance speech, Daniel Day-Lewis called that scene one of the most moving things he had ever seen. It’s hard not to feel nostalgic while watching the supremely talented Ledger, knowing that he will never again be able to pierce through our hearts with his eyes. It’s a marvelous scene that encapsulates a wonderful, yet all too short career of one of the best actors of a generation. I just finished the film, for the first time, and it, along with this scene, is exceptional. The 'scene' that affected me most, however, was Jack's demise. Five seconds of film, if that. I had to pause it and threw up in my mouth. Its way past the credits now and I'm still physically shaken. I cant remember the last time, if any, a film threw such a gut-wrenching hit at me. What power, and what indeed what true cruelty we can exude. Glad I finally got to read this post. The spoiler warning had me at bay for quite a while. Oh man, that's a real gutwrencher - a necessary scene, but one handled the best way possible. Brief cutaways, silent... only tasteful way it could be done. Also, I'm so glad you liked this movie, it's one of my all time favorites. Only gets better with time. If you had told me twenty years ago that I could have watched a film like this and been moved to tears I would have laughed in your face and been revolted at the thought. And then Heath Ledger and Brokeback Mountain came along and his performance took me to another plane of existence, I did not see the homosexual love between the two men but love, just the love and despair felt by both of them. This was the genius of the film and of Heath Ledger may he RIP. Couldn't have said it better myself. So well put. It's a remarkable performance in a remarkable film.